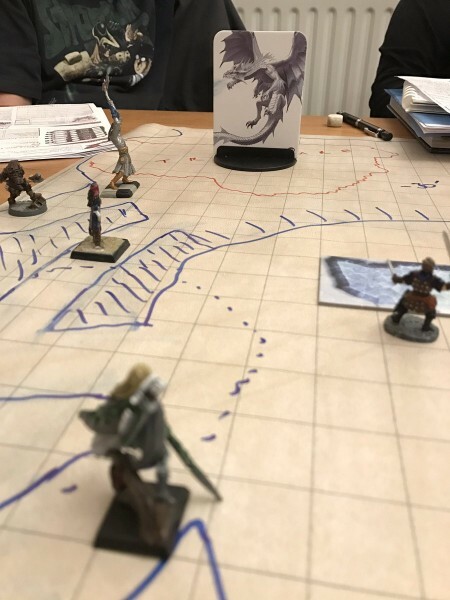 Here’s what happened in last night’s session of Hoard of the Dragon Queen as the party's caravan passed through Daggerford and came within sight of Waterdeep, bringing Chapter 4 to a close. Each PC gets 770 xp, enough to reach 5th level. 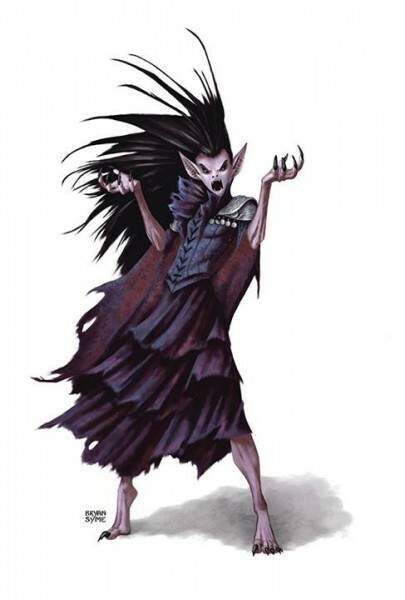 The PCs decide not to confront Bartek that night – instead Rosie will try to befriend him and lure him away from his fellow cultists so he can be ambushed. Rosie begins her charm offensive but her coquettish behaviour only succeeds in baffling Bartek. A group of over 200 worshippers of Loviatar, Maiden of Pain, blocks the road ahead, walking extremely slowly as they flagellate themselves with whips and scourges. Ug confronts the high priestess, threatening her to no avail. Turin and Rosie have more success, pointing out a thicket of gorse bushes off the road and encouraging the goddess’ followers to walk through the thorns. That evening, the PCs put their plan to get rid of Bartek into action but things don't go quite as they expected. When Ug leaves the camp to hide in a nearby copse, he is followed by Bartek and his two companions and ambushed. The others rush in to help him – Crake kills Bartek while the paladin slays one of the cultists. 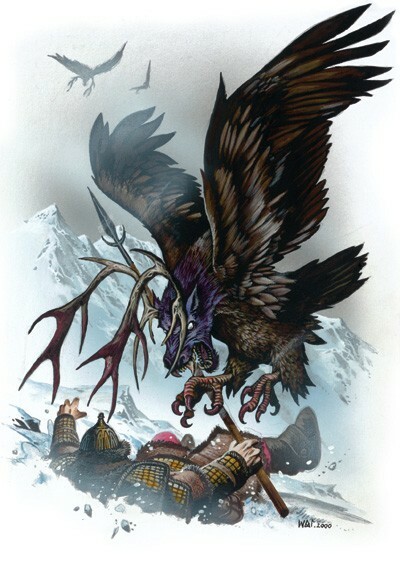 Gwastdyn casts hold person on the third attacker, Penrin, and the adventurers take him prisoner. He knows little when the PCs interrogate him – Bartek had shared his suspicions about Ug with him but the Dark Sails mercenary only knows their wagon was bound for Waterdeep. He promises to go along with whatever the PCs ask of him to spare his life. Rosie’s story is that the three cultists were attacked by a bear. So, to make things more believable Gwastdyn wild shapes into bear form and wounds Penrin with his claws. The cultist limps back into camp, shouting about a bear attack. That night, an invisible Crake sneaks into the cult’s wagon while Penrin is on watch and opens a couple of the crates inside. He steals a few choice items. Rosie casts alarm each night on the PCs’ camp from this evening on. Gwastdyn spies on the other two cult wagons in weasel form and learns the cultists are suspicious of the PCs. The caravan passes the mist-shrouded ruins of Dragonspear Castle. The PCs kill two perytons as the caravan heads northwest along the Trade Way towards the Way Inn. 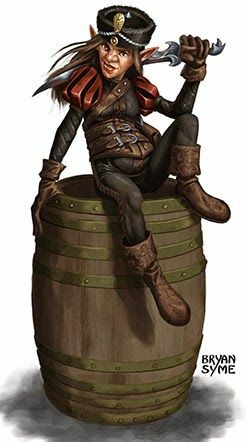 The party talk to the human merchant Nyerhite Verther – he is skeptical about the amount of money the PCs will make from their peppercorns and other trade goods in Waterdeep. He shows them his "fine Calishite silk”. Unfortunately, it’s infested with worms and he becomes completely unhinged, ranting and raving, when he finds out. A herd of deer are spotted on a rise above the road; a beautiful golden stag is among them. The caravan guards grab their bows and spears and charge off after the animals and they scatter. The PCs try and catch up with the mysterious golden stag – Gwastdyn is able to follow its trail for a while but loses sight of it in the trees. The caravan reaches the Way Inn. The PCs enjoy hot baths and braised bustard on toasted buns for dinner, and pay a wainwright to fix their wagon. Turin is offered the chance to perform in exchange for free bed and board but refuses – he doesn’t want to draw the cultists’ attention to his musical talents. It’s been a miserable wet and windy day when the caravan arrives at the small village of Bowshot that evening. When the PCs enter the inn, the embarrassed innkeeper tells them that all the rooms have been taken. Four arrogant, braying nobles are the only guests – they jeer at the party’s misfortune. Rosie is having none of it. Dumping a purse of coins on the bar, she heads upstairs to find a room. Two of the nobles draw weapons and go after her while the others confront the rest of the adventurers. A fight kicks off despite Ug’s attempts to hold back Gwastdyn (“it ain’t worth it!”). Although their attackers are competent swordsmen, capable of inflicting vicious wounds, the adventurers are able to defeat them. Rosie, who has been using the landlord as a human shield during the battle, takes down the last one with her agonizing blast. A search of their gear reveals that the four men were in disguise but provides no clues to their true identity. The wagons reach Daggerford. Here, five new faces join the caravan – the merchants Oyn Evenmor and Lai Angesstun, the lawyer Aldor Urnpolehurst, the Thayvian Azbara Jos and the gnome Jamna Gleamsilver. Turin and Rosie talk to Jamna, establishing she is neither an entertainer or a “salesgnome”. Rosie gives her a Zhentarim code phrase and gets the correct response. She is told to sit tight for now. The PCs decide to allow the gnome to travel with their wagon, as long as she rides alongside. The caravan leaves Daggerford. Azbara Jos is riding in Penrin’s wagon. The PCs notice Jamna keeping an eye on the cultists. Jamna approaches the PCs while they are eating breakfast and fishes a small object out of Crake’s oatmeal – a coiled sliver of bone that will cause a slow, painful death if swallowed. She warns them all their breakfasts are likely to be contaminated. Gwastdyn finds a suspicious object in his; they all throw their food away. Two days from Waterdeep, the caravan awakens to find a dead body under one of the cult wagons. 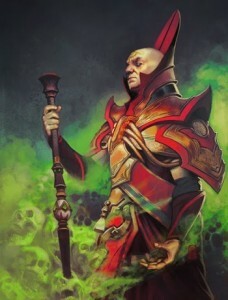 It’s Penrin – he’s been stabbed from behind with a sword. The cultists accuse the PCs of being behind the murder, but the merchants leap to the party’s defence. Even Azbara Jos speaks, calming the situation. The cultists reluctantly back down, although their hatred for the party is abundantly clear. Eventually, the merchants decide that with no witnesses, there is nothing to be done and the caravan gets ready to depart. It seems likely to the PCs that Jamna was responsible.